Should You Shop for a Luxury SUV or Sedan at a Dealership Near Estelle, LA? Many drivers near Estelle, LA, wonder whether they should shop for a luxury SUV or a sedan. And it’s a difficult decision, as both these options offer a host of pros and cons. But have you really thought about what will work most efficiently for you? You have to think of a wide variety of considerations if you truly want to make the best choice. Here are just a few of the factors you should think before you start shopping for your next vehicle. No matter what you get, when you buy from a reliable dealership, you’re going to love driving home in your new ride. What’s more important than any other factor when it comes to finding a vehicle you’ll love driving near Estelle, LA? The price, of course. Generally, an SUV will be a bit more expensive than a smaller car, but it really just depends on the models you’re looking at. Take a close look at both your SUV and sedan model options, and compare the prices. If you want to spend as little as possible, you may want to base your decision off this factor. The price of a vehicle isn’t everything, especially when you stop to think about fuel efficiency. If you get a car that’s less fuel-efficient, then you’ll have to pay more for gas every month. Usually, a luxury SUV is going to be relatively fuel-inefficient because of its larger size and bigger engine. Therefore, you may want to think about getting a sedan if you don’t want to waste a ton of money on gas every month or if you’re very eco-conscious. However, if you don’t care about spending more on gas, an SUV may be just what you need. Last but not least, you have to think about the needs of your family. You may want a sedan, but if you have kids and need to drive them and their friends around, a luxury SUV may be a better way to go. Think about what your future plans are and what you need most now and in the future. Taking these factors into consideration will lead you to make a smarter choice. 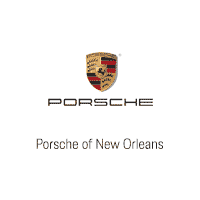 When you are ready to shop for the luxury SUV or sedan of your dreams, come on out to Ray Brandt Porsche.